Maybe no one will get what I was writing about the English. The basic things that make up western music are triads and chord progressions. These are the building blocks of everything from Henry Purcell to Duke Ellington to Sting. Both appear to have been invented by the English. That doesn't mean they thought of anything very profound to do with them. Please do not be offended by anything I am about to say. I am a natural systems analyst and try to tell people what is happening. Sometimes they don't want to know. Your perspective is exactly what it should be. Scholarship must equal truth. However, anyone knows that displacing Ballo to Boston is absurd and mentally puts it back. Oscar alone means this is not democratic America. Getting rid of the American setting is great. Arguing over the precise text is something you have to do, but for we ordinary people, redoing the supertitles is probably sufficient. The dominance of the Wagner/Verdi context for opera is passing away, and being replaced by interest in earlier works such as Handel. People haven't stopped loving Verdi and Wagner, but there is an enthusiasm for earlier music that was not there before. Teachers who know how to teach the heavy technique are harder and harder to find, while coloratura in all voice types continues to strengthen. The pervasive presence of old recordings from the period of heavy repertoire makes the work of every young singer impossible. What hope is there that they could rival these old singers? It is vital to emphasize (and I was most interested to read) the stylistic differences between Verdi and Rossini, and even between early and late Verdi. My feeling is that these differences will become more and more important with the passage of time. I am hoping for a continued revival of Rossini which would require greater knowledge and availability of the ornaments and the proper manner of executing them. Thus my interest in a critical edition aria collection. The serious operas of Rossini are still virtually unknown. Renata Tebaldi didn't record them. There is wonderful opportunity for a singer to blaze a new trail, one that will sound fresh and exciting. My infatuation with Bartoli was due to the hope that she would do this, but she has chosen a completely different path, performing Handel instead of Rossini. At a magical moment in her career she topped anything I have ever heard in this repertoire. The music of the past now seems different to us. Rossini isn't just weak Verdi any more, but begins to seem his own person, a person larger than a collection of comic gimmicks. My impression is that a lot of this change is due to you. The landscape of opera will continue to evolve. My own obsession will continue to be the quality of new operas, a gigantic subject that I'm not sure I'm big enough to handle. But then who is? I'm not particularly thrilled by what other people are writing on this subject, so why not me? When writing my chapter about words, I left out entirely any discussion of censorship, something ever-present in Italian opera throughout its history at least until the unification of Italy in 1870. I think this must have been part of the attraction of the librettos of Metastasio, a native Roman and therefore someone familiar with the religious and political issues that aroused the attention of the censors. A composer could avoid the problem of censorship merely by choosing one of Metastasio's librettos to set. Rossini began the movement away from Metastasio's librettos toward a more free-form libretto such as the French might use. The new style of opera was not what the church or the occupying armies had in mind, and they let their opinions be known. Verdi completely abandoned Stiffelio because he felt the censorship left nothing worth presenting. This is a key issue in Divas and Scholars, which I won't repeat here. You'll have to read it for yourself. I am irresistibly attracted to the serious operas of Gioachino Rossini. For my heart Rossini is perfect exactly the way he is and does not require the "improvements" of Verdi. There is a perfection of lightness in the coloratura that is not improved by the weight of future generations. I am happy to see this style returning to our ears, to hear the wonderfully ornamented da capos done as they were meant to be. Viva Rossini! I went on Sunday to see the Baltimore Opera Company present Rossini's L'Assedio di Corinto or The Siege of Corinth, an actual historical event which took place in the 1450's. A Christian country is being invaded by Moslems who are heard praying to the prophet, something I am not sure actually happens. Never mind. The production was traditional with Turks looking pretty much the way they do in Italian Renaissance paintings and the Greeks looking almost antique. I'm not sure my comments about the historical accuracy of costumes can be relied upon so we will assume they are not displaced from their intended setting. The two groups, Greeks and Turks, were easy to distinguish from one another, making the drama easy to follow. The historical event requires a love theme to make it work as an opera. In preparation for invasion Maometto II has been personally casing the Greek cities, and while looking over Athens, he meets and falls in love with Pamira, daughter of the Governor of Corinth. Her father Cleomene, here sung by Bruce Ford, asks her to marry Neocle, but she refuses, saying her heart already belongs to another. Only during the opera does she discover that it is Maometto II himself that she loves. She vacillates, but ultimately decides on martyrdom with her countrymen over marriage to a foreigner. The unusual feature of this opera is the presence of chorus in every scene, representing primarily the Greek people. It is a surprise in an Italian opera to hear so much chorus. It is they who carry the spirit of patriotism and martyrdom that is the main theme of the opera. They sing in simple block chords without counterpoint. This was very well done and effective. Elizabeth Futral as Pamira was in a little over her head. She was better and more secure in the more solid Handel of Semele than here. The more ethereal Rossini caused her voice to become fluttery. Vivica Genaux in the role of Neocle was a revelation. She did not quite achieve the godlike standards of Marilyn Horne, but definitely merited comparison, as great a compliment as I can imagine for a coloratura mezzo. Brava! And, yes, she looked fabulous. In the second scene of La Traviata Anna Netrebko walks along the top of the sofa. Now that we know she studied gymnastics, we recognize that these are balance beam maneuvers. She stands securely on one foot while Rolando grasps the other foot. She does an acceptable dismount, considering it's an opera and not a competition. Gymnastics training for opera singers? It does sound a little severe. It is not good for a singer to grunt like Maria Sharapova, but physical training can only do good. Pavarotti played tennis. 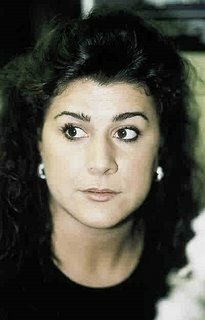 Cecilia Bartoli was a Flamenco dancer. Rolando Villazon works out. Anna Netrebko jogs. Get physical. It can't hurt. I am getting to the end of Divas and Scholars and wish to comment on the instrumntal chapter. I should soon be able to return to something more trivial to write about. My question has to do with the weight of the orchestra. The gorilla in the corner wanted a thicker, darker, heavier sound coming from the orchestra which changed its weight radically from what it had been in the bel canto. Professor Gossett does not discuss the gradual change in orchestral weight that occurred throughout the nineteenth century from the point of view of its effect on singing. Verdi (along with Wagner, of course) is known as the killer of voices. All those loud brasses and drums force the singers to sing louder and louder, resulting in a very heavy style of singing that is only now beginning to go out of style. I am interested in this issue. The Cecilia Bartoli effect continues. Opera continues to shift its focus toward the Baroque and lighter, more florid singing. Would a lighter, early instruments concept help to reduce the excess noise coming from orchestras in Verdi operas and allow a more legato approach to singing them? It is interesting to me that Verdi thought Macbeth was his best opera. It isn't our favorite because it contains one of his worst screamer parts, Lady Macbeth, and results in the worst examples I have heard of soprano bellowing and vocal strain. One wishes never to hear again Gwyneth Jones wobbling her way through the role and tends as a result to avoid the opera altogether. Is somewhat lighter Verdi possible? Would people tolerate it? I feel inclined to explain the Words and Music chapter from Divas and Scholars, assuming I understand it myself. Opera has two great traditions: the Italian and the French. The first French Opera was six decades behind the first Italian Opera, but unlike operas in other countries, such as Germany and England, Pomone by Robert Cambert in 1671 firmly established a vogue for opera in French, a vogue that was quickly exploited by Lully. He was followed by Rameau, Gluck (his biggest success and most important influence was in France), Cherubini, Salieri (a lot of Italians wrote operas in the French style), etc. In Rossini’s time Spontini and Mehul were the main French opera composers. The French developed their own comic opera tradition, too, starting in the late Baroque/early Rococo and continuing through Carmen and so on. Each country established its own independent tradition. By the time of Rossini the Italian tradition was over 200 years old and the French tradition a more youthful 140 years. I don’t recall any French composers who moved to Italy, but the list of names above gives a clear indication that a lot of Italian composers, including all of Gossett’s quadrumvirate: Rossini, Bellini, Donizetti and Verdi, wrote French operas for Paris. Paris was simply too lucrative a market to ignore. No one but the Germans Handel and Johann Christian Bach seem to have regarded London as a place to move to. When the Italians wrote for the French market, it might be an Italian opera they were writing, such as Il Viaggio a Reims by Rossini, but more likely, they composed French operas for the French, using their style and their librettos. An opera generally starts with a libretto. Both countries developed a style of poetry that they deemed suitable for an opera libretto and composed music in their own style. In the case of the French this generally included ballet. Louis XIV was a ballet enthusiast--in his youth he was a ballet dancer as well--and the tradition stuck. Sticking in ballets and taking them back out again is not really a problem. None of this would have been a problem had it been considered suitable to simply translate an opera from French to Italian or from Italian to French. If the composer was Italian, the only side of the equation Gossett is concerned with, the Italians wanted the result to be an Italian opera and not merely a translated French one. So the Italians rewrote the French operas to be Italian operas with more or less the same music but completely different poetic forms, with the result that the Italian versions are not really what you would call versions. They’re different operas. This seems a problem with a simple solution: write new translations. We in the English speaking countries do it all the time and don’t really understand why this is a problem. Every 25 years or so we tire of old translations and want new ones. Germans are excellent translators and are adept at finding exactly the right German words to capture the original. The German translation of My Fair Lady is awesome. This appears not to work for the Italians. Sensitivities are upset. Toes are stepped on. Traditions are violated. Perhaps they have learned to love their version and don’t want to give it up. What is one to do? I have oversimplified, as usual. The biggest problem, it seems to me, is that in countries not either Italy or France it is the Italian version that is performed. We should not presume to speak for the Italians, but we can certainly speak for ourselves. When the San Francisco Opera presented Donizetti's La Favorite in 1973, it was in the Italian version. In the 1999-2000 season SF presented the French version. We shall regard this as progress. At the Met this opera has not been presented since 1978, but all the performances have been in Italian. I know that when I learned the aria, it was called in Italian "O mio Fernando." Verdi's Sicilian Vespers was sung in Italian at the Met as recently as 2004. Donizetti's Daughter of the Regiment seems always to have been sung in French. Frankly, there is a prejudice against French caused by the ghastly manner in which it is often sung. I am pleased to say that I did not experience any of my usual nausea about the pronunciation of French in Los Angeles Opera's Manon. Anna continued to sound like herself. Her voice didn't disappear into her head when she tried to do nasals, as is so often the case. I feel inclined to promote the fortunes of La Favorite because it is one of those rare operas with a mezzo heroine, and Professor Gossett makes his best arguements relative to this opera. A dramatic mezzo should champion it. In French. I went last night to hear Denyce Graves in recital at Kennedy Center with accompanist Warren Jones. I liked it, but not enough to stay for the whole thing. It's a long drive back to Frederick, though I seem to have finally discovered the route. There is a rule in Washington--if you don't know how to get there, we're not helping. This is a little like hiding Bolinas (obscure California reference.) In the south they don't want to help out all those lost northerners by actually giving them directions, so there are absolutely no signs that say "turn here for Kennedy Center," and the actual route is rather mystical. Ditto for getting back out. So far I have gone a different way driving home each time I've gone there, making the whole trip take about a half an hour longer. Route to Kennedy Center: down the GW parkway to the Roosevelt bridge (that's Teddy, not Franklin), turn right at the very first opportunity and keep right. Sounds easy. So why no signs? If you miss the turn, you're sunk. You can circle the place for hours. Allow time for circling. Route back: Exit going north and continue north along the river. Exit onto K, exit onto Key bridge, exit immediately onto GW parkway. The sign will say "to 495." It will never say George Washington Parkway, but what else could it be? If you miss any of these turns or exit the south side of the building, you are sunk. It's an IQ test. No dumm people are invited. Skip all this and go on the Metro, except you have to walk around in the dark, and it takes a lot longer to get home. I usually take the scenic route home through the middle of DC with stops to ask directions and get home very cranky. 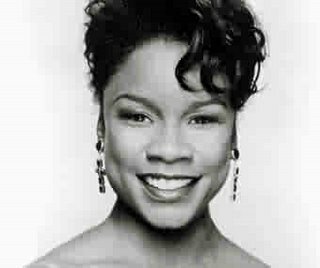 Denyce Graves, a beautiful black woman with an interesting mezzo-soprano voice, changed the program from the original printing. She sang "O Del Mio Dolce Ardor" from Gluck's Paride ed Elena to open instead of "Sweeter than Roses" and added an aria, "Acerba volutta" from Cilea's Adriana Lecourveur. This was an odd experience for me--I have sung everything on the first half of her program except for "Heimliches Lieben" by Schubert. That means I have a really good idea of how she did. 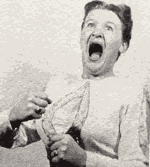 She subtitled her program "Woman on the verge of a nervous breakdown." She successfully took the low D at the end of Schubert's "Der Tod und das Maedchen," something I don't remember doing and have actually never heard before. Excellent. I liked her best in the pair of arias: Cilea's "Acerba volutta" and Donizetti's "O mio Fernando" from La Favorita. These are dramatic mezzo arias for which she is very well equipped. I liked also very much her semi-dramatization of Schubert's "Gretchen am Spinnrade." She has a big voice and a big vibrato which she needs to keep under control. It is a voice perhaps best suited to opera. Ms Graves is a DC native and had a very sympathetic audience. Speaking of the audience--DC audience members seem to clap constantly. If the singer takes too deep a breath, they begin clapping, including a round of applause in the middle of "O mio Fernando." I think the aria makes a better effect if it runs its course. I have to say a few words about Warren Jones. He put the music flat on the piano so he could always easily see Ms Graves. I couldn't tell if this meant they had not practiced that much together. Did I find him "the finest accompanist now working" as the blurb in the program says? He seemed to me to charge wildly ahead at every opportunity while Ms Graves held back. They often seemed not to be performing the same pieces. She always insisted on her own interpretation no matter what he did. This is the secret to getting your own tempo--just sing that tempo no matter what others around you are doing. Eventually they will submit. Think how much better it might be to agree on a tempo before hand! But then, I know too much. I was always imagining my own expectations. I do this because it allows me to rediscover myself. In the middle of my life everything became too hard, and I took the easy way out. Computer work was easy for me, and within a few years my salary easily exceeded that of my full professor friend, and I think, too, my job satisfaction seemed to exceed hers as well. She gave amazing flute recitals and complained about her dense students. I inherited my father's brain, which is well suited to logic, mathematics, organizing, and completely unsuited to the softer, more interactive skills. I got my way by simply refusing all other courses of action, and my way, after all, turned out to be best. Now that I am retired, I find that I don't miss software at all. I am thinking of becoming computer illiterate. The passion of my life has always been music. The things that I might write about seem to grow by the day. I am seriously considering doing something on composing for opera singers, an idea which seems not to exist. There is thought to be nothing to know about composing for the voice. What's the highest note? What's the lowest note? Once I know that, I'm done. Right? Ask yourself, why can't I tell which of the male roles are supposed to be baritones and which tenors? Reading Divas and Scholars for me is like reading a great novel. A world is created that I am reluctant to leave. He is the first writer I've read who treats Italian opera with the respect it deserves. Through blogging I can be anyone I want, I can invent myself. "Attempts to move discussion of Italian opera into the mainstream of scholarly discourse have invariably spawned efforts to show that keys and key relationships are also crucial to this repertory, as if such evidence of compositional planning might help ensure musicological respectability to the sunny South." Musicology was invented by the Germans, and most of the results of its work show in the giant collections of complete works and Daenkmaeler in music libraries. Looking down across the Alps they saw only chaos. If it isn't about form and analysis, it isn't about anything. There are centuries of catching up to do. I am aware now when I watch recent performances of Italian operas that the recent efforts have been received very seriously. 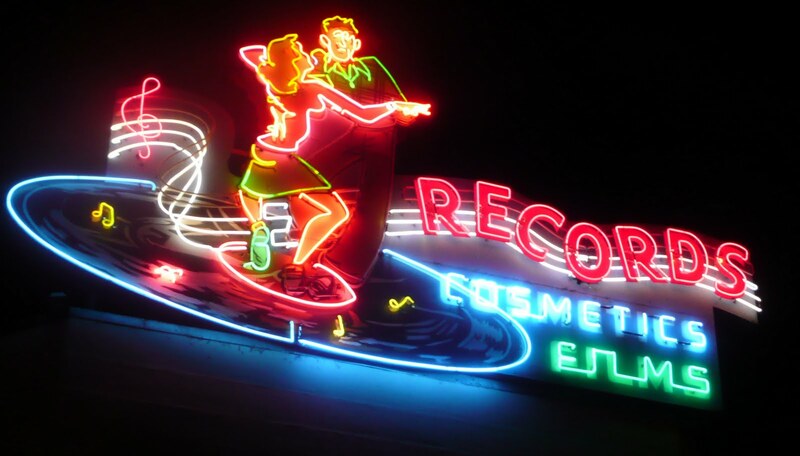 I'm from Sacramento where Tower Records began. It was in the same building as the Tower Theater along Broadway, all named after a tiny tower over the theater entrance. I remember driving down there from my home in Carmichael to buy an LP of Judy Garland's A Star is Born. In my singing book I describe going into the huge Tower Records that used to be in Picadilly Circus and seeing Cecilia Bartoli records everywhere. Now there is only a much smaller Virgin store. The last time I went to Sacramento the original store was still there. Tower has gone into liquidation, and all will soon be gone, killed by digital media and bad management. Only the neon sign remains. A few seconds of silence, please. In response to Paul's question I found this information about Jessye Norman in recital at Davies Hall in 2002. She switched her program from Winterreise to Ravel's Shaharazade and Strauss. She recently turned 60 on September 15. Her voice was said to be in "serious disrepair" in 1996, but in 2002 she is called "wondrous." In my most recent experience of hearing her I concluded she was trying to scale her voice to small and should definitely stick with big. She should sing Ravel and not Schubert. Many singers slow down when they are nearing 60, preferring to be remembered in their prime. 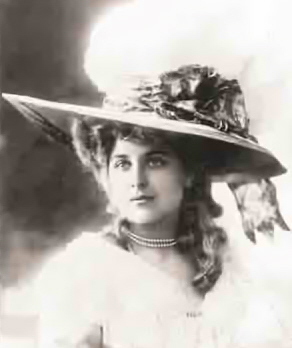 Risë Stevens retired at 50, Geraldine Farrar at 40. Die Zeit, die ist ein sonderbar Ding. It seems despite tremendous effort I cannot help sounding like a reviewer at times. I couldn't think of anything silly to say about Don Carlo. Licitra seemed to do an excellent epileptic fit, which in leiu of acting will have to do. Giant looming figures of Peter and Paul do tend to put a crimp in ones sense of humor. The LA Opera is judging its success based on attendance, now up to 86%. I look around me at what passes for entertainment today and I see reality TV, Broadway revivals and British imports, endlessly repeating movie serials and opera, ever reinventing and renewing opera. When Manon is dressed in modern costumes we know from the movies, we may judge exactly where she is in the social order because these costumes are part of our cultural awareness. I am beginning to see the point of modern productions. 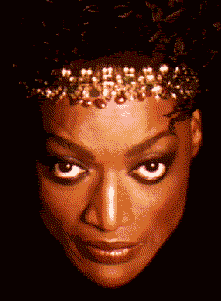 Did I say Jessye Norman was in the audience? On Saturday Manon opened at the LA opera. This very French production of Massenet's Manon actually comes from a Frankfurt designer. The visual images of French life in the 1950's bring a strong sense of place which I found reassuring. Manon begins her theatrical life during the overture still on the train to the convent. She is dressed as a French school girl in a red beret. She applies her makeup. She removes her socks and draws a line down the back of her leg to create the effect of nylon stockings. There were the usual unexplained elements to puzzle over--a row of army men opposite a row of priests, and men setting up spotlights and pushing them around the stage. When Manon needs to stand out from the crowd, as when des Grieux falls instantly in love with her, the spotlights are turned on her. Manon's descent is traced in her costumes, like something from a film with Leslie Caron, like Gigi Turns to the Dark Side, perhaps. In des Grieux's apartment she has lost most of her clothing and engages in some child-like pillow fighting with her lover. She is torn with indecision, but ultimately allows him to be abducted. As the partner of her rich lover she is all in white with huge crinolines and a large hat, the portrait of a sophisticated grownup. To seduce des Grieux from his priestly calling she appears in vivid red. Anna Netrebko completes this magical descent with her actions. She transforms from the school girl who loves pleasure too much, to the sophisticated queen of Paris, to the complete decadent of the gambling scene where she wears a blond wig and does a respectable pole dance, to the drab, ill, penitent of the final scene. It was a pleasure to watch. The color of Anna's voice traced the same arc from school girl lightness, to maturity, to dark depression. She skipped lightly through "Obéissons quand leur voix appelle," was sweetly seductive in "N'est-ce plus ma main?" and darkly repentent in the final act. I would not be surprised should she suddenly begin to walk on water. Rolando Villazon was his usual vivid self, but his voice seemed closed and covered and did not fully open up until the end. I'm hoping this is a temporary condition and not the beginnings of a problem. He looked adorable in his Rick's bar white dinner jacket and pencil mustache, the very picture of the decadent gambler. They made a remarkably sleezy pair. Placido Domingo conducted. In the bows which went on longer than expected, Anna bounced up and down and waved, enjoying yet another triumph. I smiled all the way through. I'm still smiling now. She is the diva of our time, and will possibly transform opera into her image. Like all of life, it is for a moment only. She is at her peak now. Rearrange your life to see this. The Los Angeles Opera presented the later Italian version of Verdi's Don Carlo on Friday evening. The story of Don Carlo concerns the uncompromising character of King Philip II of Spain, [Facts from Wikipedia] and his devotion to the inquisition. Everyone, his wife, his epileptic son Carlo, his ally, is sacrificed to his ambition. Spain rules protestant Flanders with an iron hand. Philip betrothed his son Carlo to Elisabeth de Valois and they fell in love. Philip then married her himself, creating this destructive love triangle. The problem of Verdi lies in the gargantuan conceptions of his characters which must then be filled by mortal, often inadequate singers. Placido Domingo has done a marvelous job of casting this opera. Their strengths then become its strengths. Salvatore Licitra is able to get exactly the right spinto tenor color into his voice to project the dramatic intensity of Carlo. I suppose I would advise him to practice the mesa di voce. But I rather believe he is an artist who must be loved for his gifts, which are many and perhaps even loved for his untamed spirit. There was a truly great singer in this cast: Ferruccio Furlanetto as Philip II. His bass voice is very beautiful and his singing is as large as Verdi himself would have wanted it. It was truly an honor to hear this wonderful portrayal. The largest female role in this opera is Eboli sung marvelously by Dolora Zajick. I honestly preferred her more lyrical singing in The Maid of Orleans last summer. Lyrical Verdi might be worth the effort. Whatever my opinion, she was wonderfully intense. Annalisa Rospigliosi as Elisabeth is a beautiful lyric soprano with only a touch of spinto in her tone, balancing out the ensemble with an element of sweetness, the only softening element in the entire opera. All of these voices had sufficient weight to carry over the orchestra. The ending of the opera is a kind of reverse deus ex machina--a ghost-like monk spirits Carlo off to the nether world. Perhaps the best California opera is now in LA.